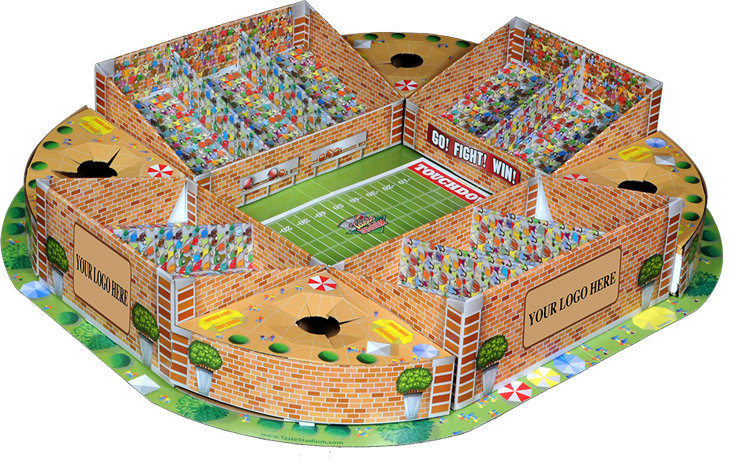 Taste of the Stadium makes a great promotional item, a perfect corporate gift or an excellent fundraising product. The unique design makes it suitable for all ages and types of parties. The art can be modified for any team colors, sport or product look using your logos or art. We can provide stadiums for your specific audience. The current stock of several hundred is ready for immediate shipping. D&B Joint Ventures llc is a small business located in Austin, Texas. We welcome the opportunity to explore the options for custom bulk orders to use our product to promote yours. Please contact us for more information.